Pest Control in Phoenix ~ Specializing in Termite Treatment, Termite Warranty Treatment, Termite Inspection for Commercial, Real Estate and Real Estate Resale. Care-Free Termite Protection, LLC personnel receive extensive training in the most effective service procedures to remove pest populations and to prevent them from returning. 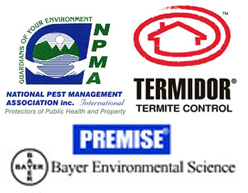 To ensure the right pest control treatment for your business, Care-Free Termite Protection, LLC has developed an Integrated Pest Management program that combines several strategies to anticipate and prevent pest activity and infestation. Components of an IPM program may include education, proper waste management, structural repairs, maintenance, biological and mechanical control techniques, and pesticide application. In setting up this program, our skilled service professionals thoroughly inspect your facility making careful note of conditions that could harbor pests or allow their entry into your establishment. Using the latest IPM techniques, we then physically remove these pests when possible and utilize non-chemical controls to capture or prevent their return. When necessary, the least toxic chemical controls are utilized to treat your problems. "Our business is built on honesty & integrity!" Care-Free Termite Protection, LLC interior service features a special injection system for Arizona residents in their Phoenix and Greater Phoenix homes to provide pin point control and place the treatment directly into cracks and crevices, where pests live and breed. This method has the least exposure to people and pets. Care-Free Termite Protection, LLC exterior service creates a protective barrier around your Arizona Phoenix and Greater Phoenix home that keeps pests from reentering. Many common pests originate from outdoors, which is why we developed a perimeter defense system to keep unwanted pests out of your home. This phase of treatment is so convenient, that after the initial treatment, you may never have to be home to let the technician inside! We maintain a protective barrier around your Arizona Phoenix and Greater Phoenix home. The perimeter defense system includes knocking down spider webs on the exterior (max height 15 ft.), a complete treatment of the perimeter of the home including the base, eaves, around doors and windows. Other areas specific to your home that may provide harborage areas for pests such as heavy landscape areas, meter boxes, porch and patios, block walls etc will also be treated. The treatment products that we use break down over time due to rain, sunlight and other conditions. For that reason, we return periodically to reestablish the barrier. Best of all, you don't even have to be home to let the technician in! If you have a problem with Tempe termites, or having issues with Scottsdale pest, no matter where you are, in or around the Phoenix and Greater Phoenix area Care-Free Termite Protection, LLC provides professional residential and commercial services dealing with your Arizona pest. Call of fill out our form today to schedule your FREE INSPECTION* and consultation to see which treatment is right for you. As always with Care-Free Termite Protection, LLC, there'll be no obligation or pressure to buy -- just honest answers to your termite questions. Specializing in Termite Treatment, Termite Warranty Treatment, Termite Inspection for Commercial, Real Estate and Real Estate Resale. 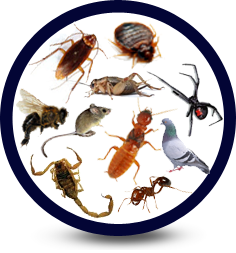 In addition to meeting your overall pest control needs, we also offer other tactical solutions for special pest problems. For the most effective results, your Care-Free Termite Protection, LLC professional will conduct a thorough inspection prior to instituting a treatment plan. 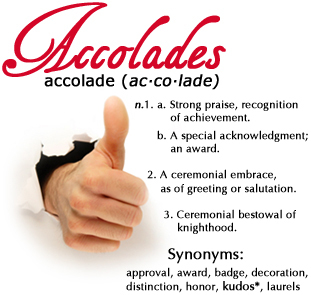 Many of these services offer several solution options from which to choose. Your professional representative will recommend the solution best suited for your individual needs. Thorough Arizona termite inspections and treatments with warranties for your home or business. Do you need a Phoenix area Termite Exterminator, Scottsdale Pest Control, or Treatment for a re-sale? Handling the closing? We will not hold up your closing! We are Prompt, Honest & Dependable! We have lock box keys! We use Termidor™ and Premise®, the most advanced & effective chemicals on the market!